EXCLUSIVE! Dazzling on a table, mantel, or buffet. Seven glass votives perch on black metal stakes that rise up from a simple wood plank. Silvered on the inside, colored on the outside, the votives sparkle and gleam when lit from within. A big look at an excellent value. 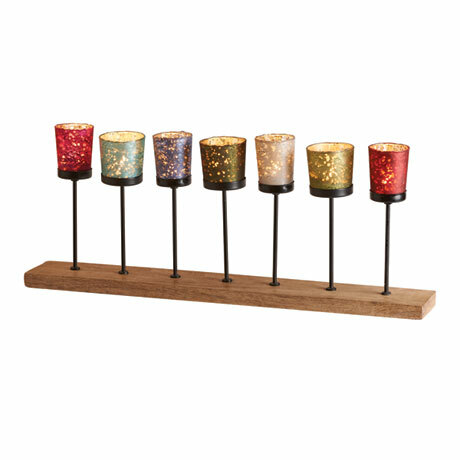 25"w x 10"h x 3½"d. For use with tea lights (not included). 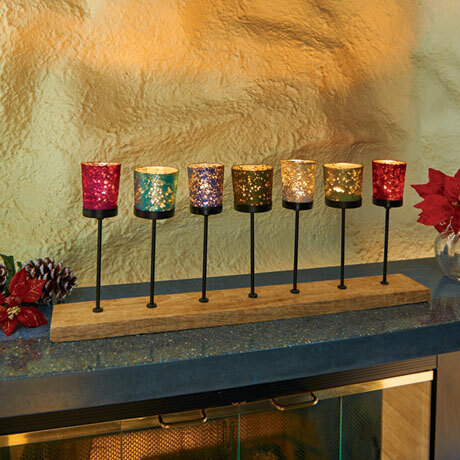 We recommend our rechargeable flickering tea lights (HL5053), the safe simple, alternative.